Sarah Ann Middleton was born on 22 August 1891 in Johnson City, Blanco County, Texas. She was known as Annie. She married Eugene Clayton Lawhon, son of David W. Lawhon and Jane C. Fort, on 16 March 1910 in Marble Falls, Burnet County, Texas. 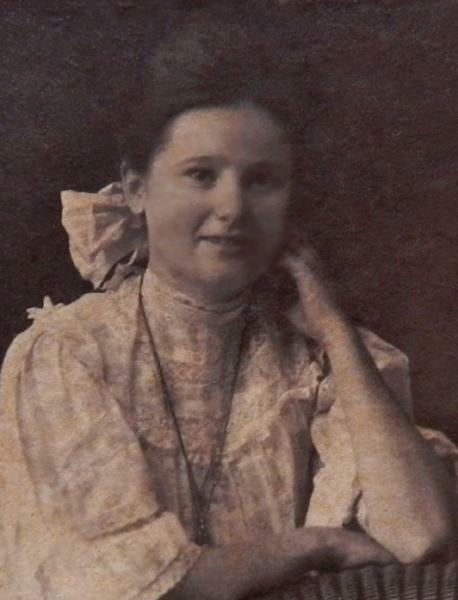 A photographic portrait was made of Billie Marie Lawhon as a young child. Eugene Clayton Lawhon and Sarah Ann Middleton appeared in the US federal census of 1 April 1930 in Magnolia Pump Station, Navarro County, Texas. Other members of the household included Eugene Clayton Lawhon Jr. and Billie Marie Lawhon. On the same day that Billie Marie Lawhon and Billie Wood were photographed in Richards with their birthday cake, she was photographed with her mother and neighbors Mollie Whitfield Teague and her daughter Carrie Teague Garner. Billie Marie Lawhon was photographed during a happy moment with her parents. A photograph of Bill and Annie Lawhon. Sarah Ann Middleton became a widow at the 2 July 1964 death of her husband Eugene Clayton Lawhon. Sarah Ann Middleton died on 24 June 1981 at age 89 in Sealy, Austin County, Texas. She was interred at Sealy Cemetery, Sealy, Austin County, Texas.